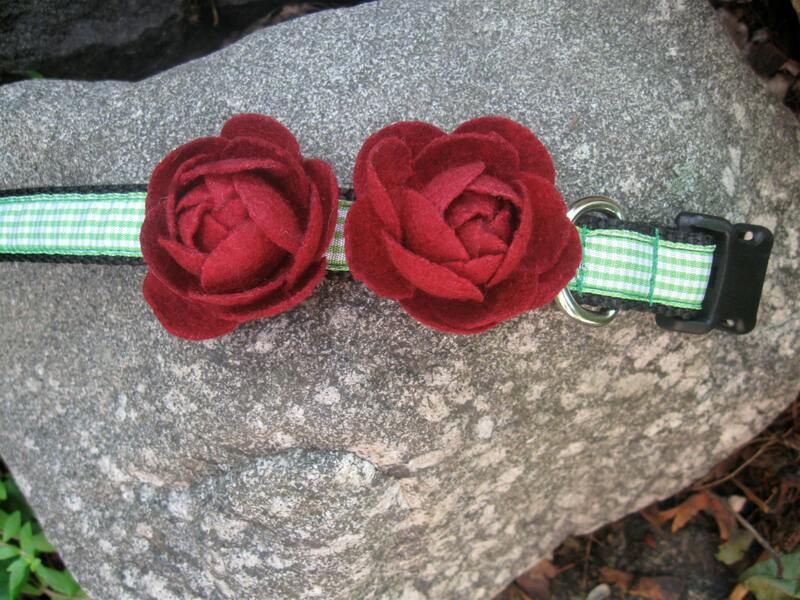 Celebrate the garden with this pretty green gingham dog collar decorated with two felt rose flowers to make up this Medium sized adjustable dog collar. 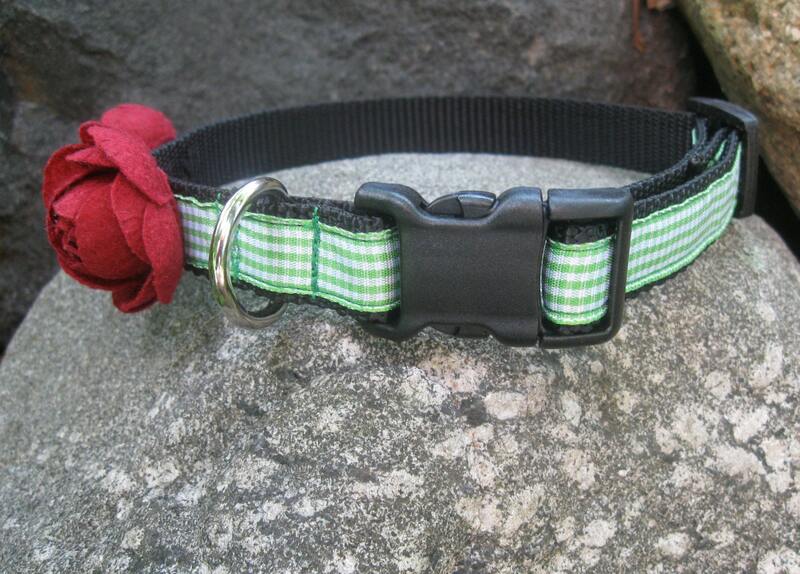 Green gingham ribbon is sewn onto a strong 3/4 inch wide black nylon webbing. 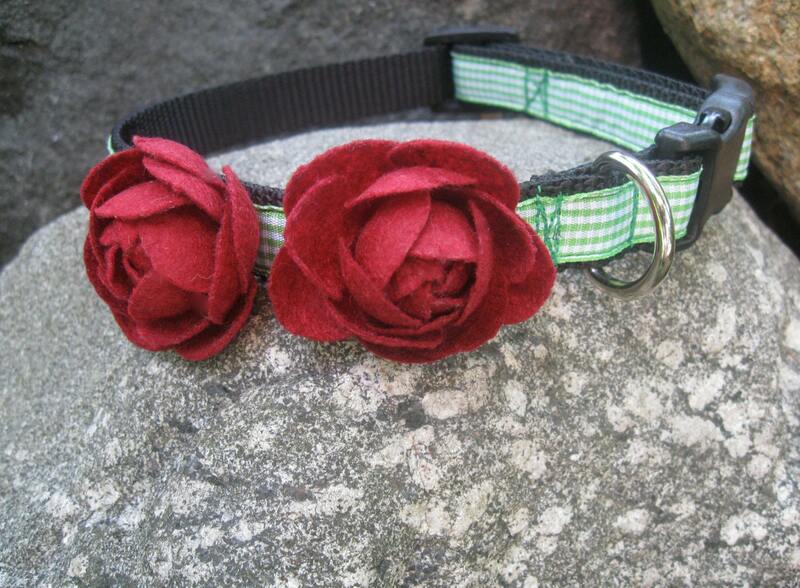 Roses are hand sewn onto the collar with strong embroidery thread and backed with black felt. Nylon ends are melted to prevent fraying. Collar opens and shuts with contoured side release buckle and is adjustable up to 15 inches for the MEDIUM collar using the triglide slide. Latch your doggy up to do their duty with the square bottom heavy duty D-Ring. 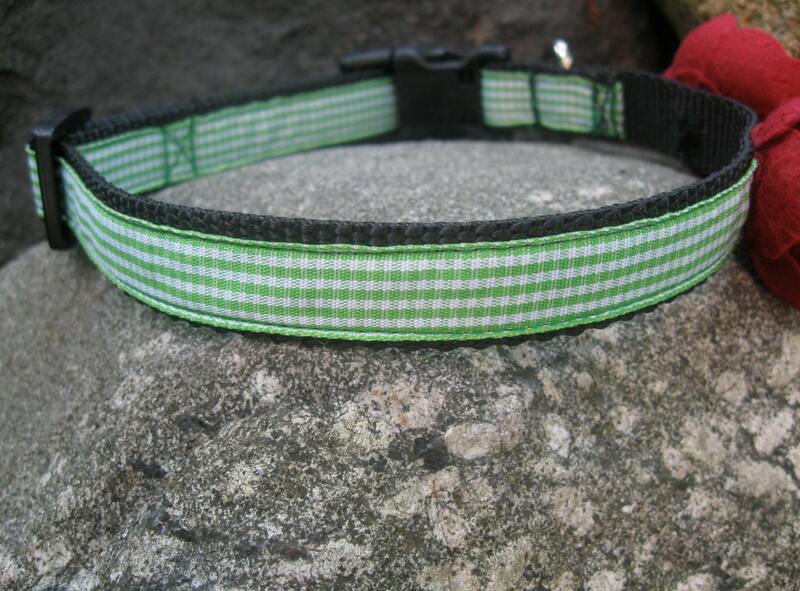 Collar is triple stitched and boxed stitched for security and safety. 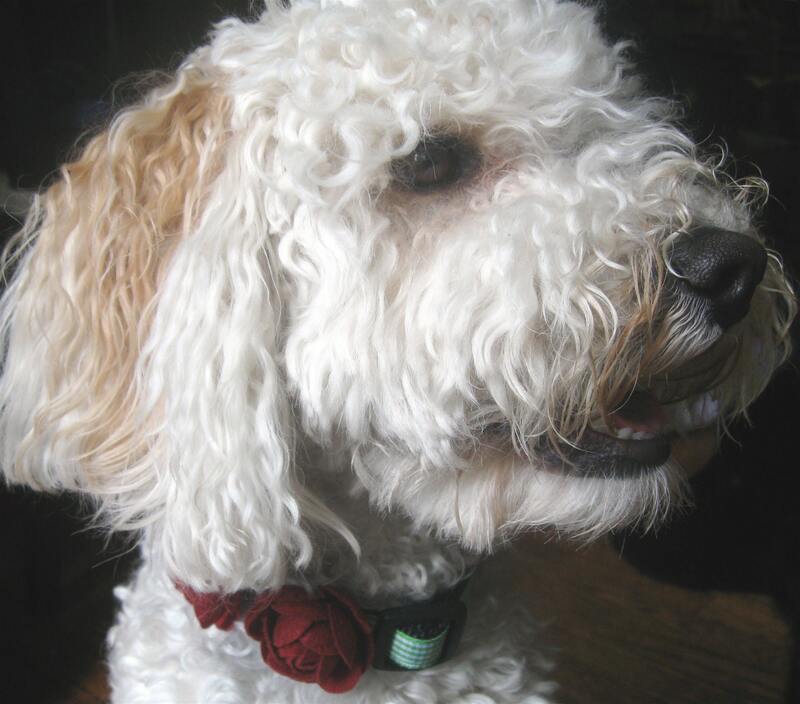 Your dog isn't boring why have a boring collar!